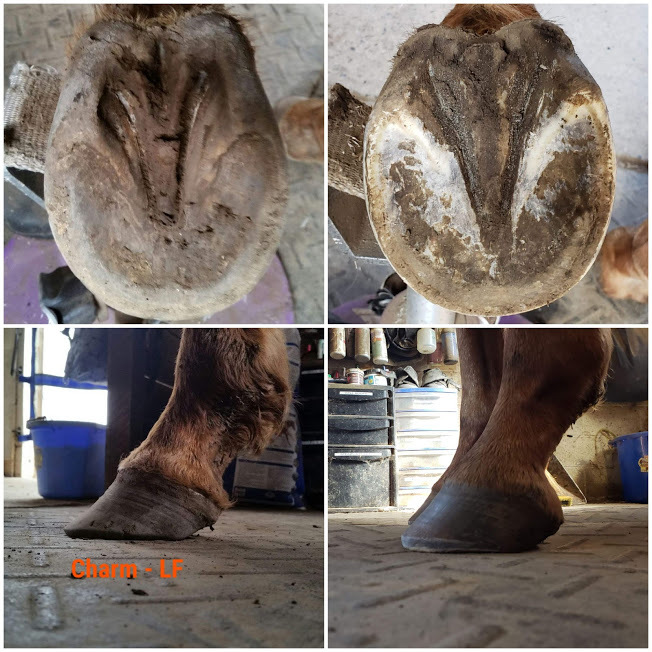 Now Offering Barefoot Hoof Trimming with the Apex Method! Steph acquired her trimmer certification in September after spending a year trimming her horses under the instruction of the creator of the Apex Method, Lana Comeriato. Steph has been able to correct issues such as underrun heels and stretched soles, by trimming to encourage the growth of heel and a tighter laminae connection. This relieves pressure on the tendons and ligaments of the legs and improves the movement and comfort of the horse. She is now trimming client's horses and taking on new clients in the area. If you are interested in getting a consult, please contact Steph.